2014, 1:22:29, video/sound installation. 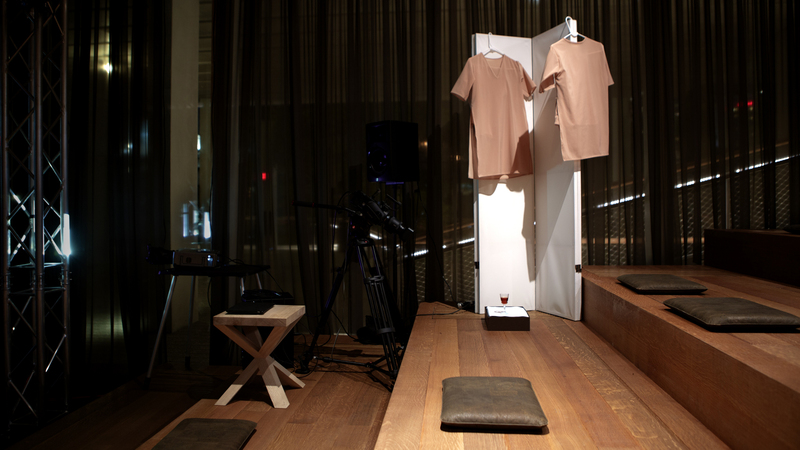 2 channel video projection, ICE sculpture, Sherry sculpture, Bed Object 2, Healer uniforms. 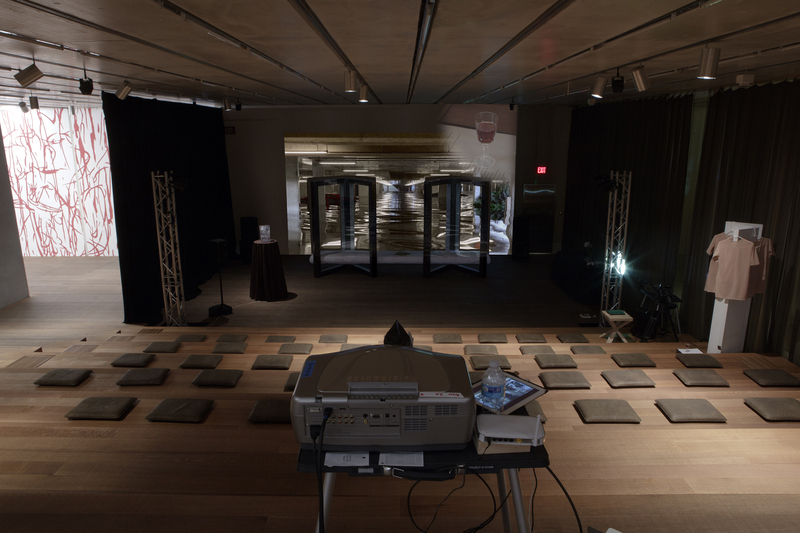 As the culmination of their ResearchinResidence at Pérez Art Museum Miami (PAMM), Yemenwed created an installation called EMPATHEATRE in the museum’s Learning Theatre. 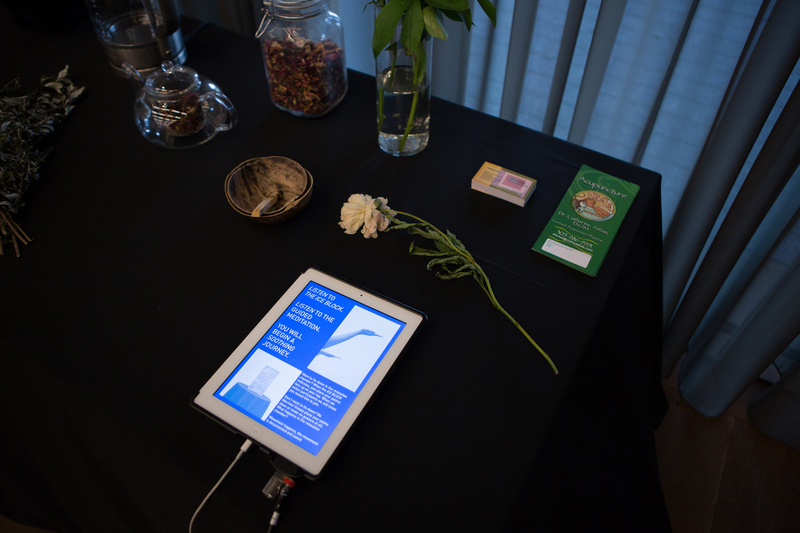 Merging themes of a wellness/cultural center and a more traditional entertainment venue, Yemenwed hosted a month of music shows, lectures, film screenings, performances, tea ceremonies and other interactive sessions, from October 16 to November 16, 2014. 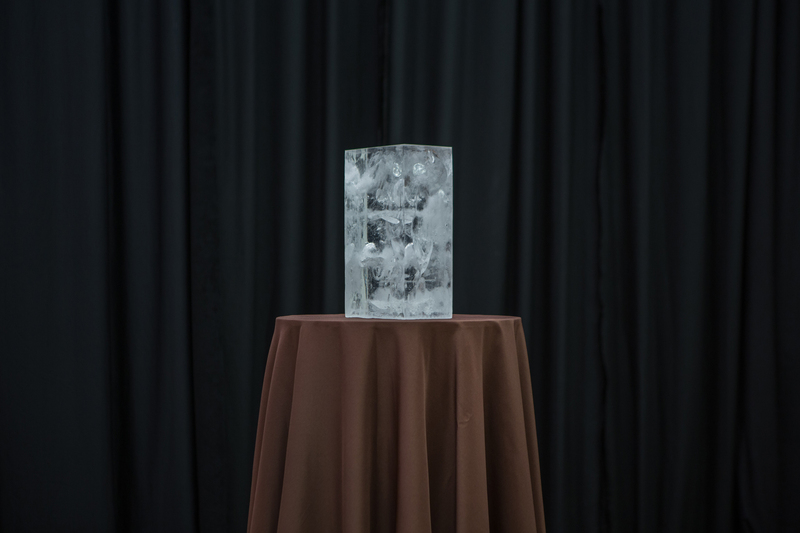 Throughout the duration of the installation, a sculptural character “ICE”, (a talking block of artificial ice central to Yemenwed’s past works) delivered daily lectures and guided meditations. 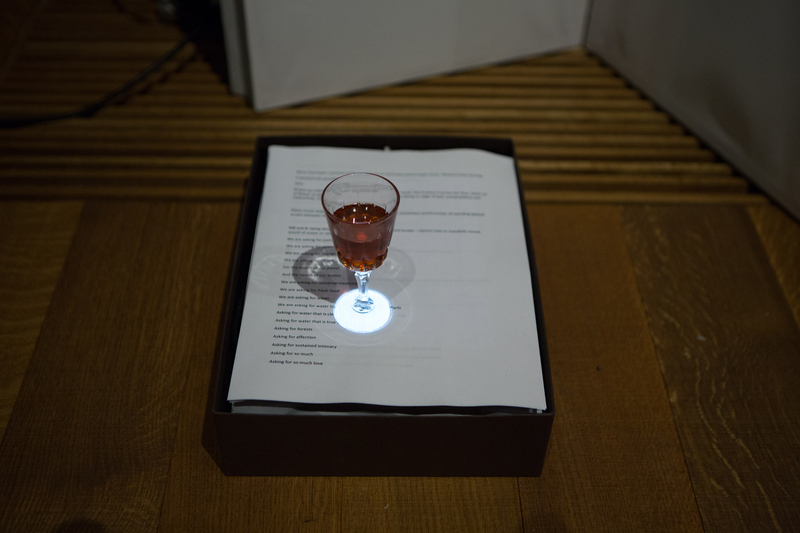 Along with accompanying dialogue from Sherry (a talking glass of Sherry wine), the two activated the space during the museums open hours.